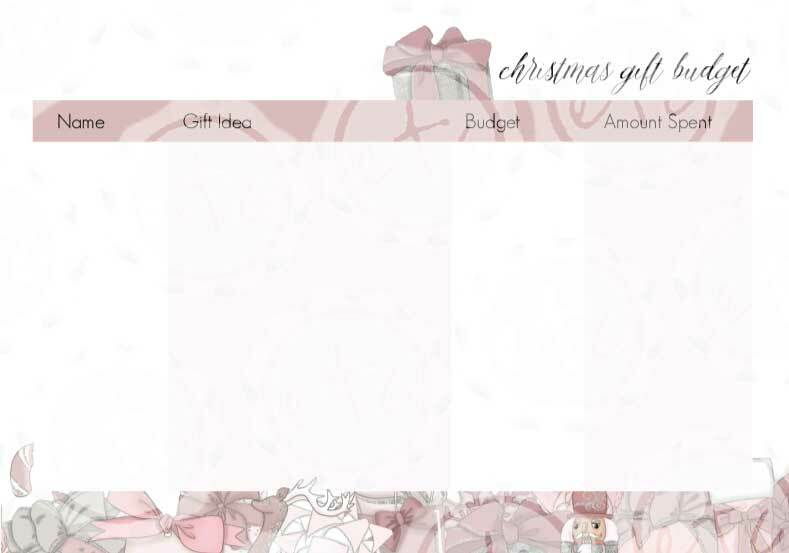 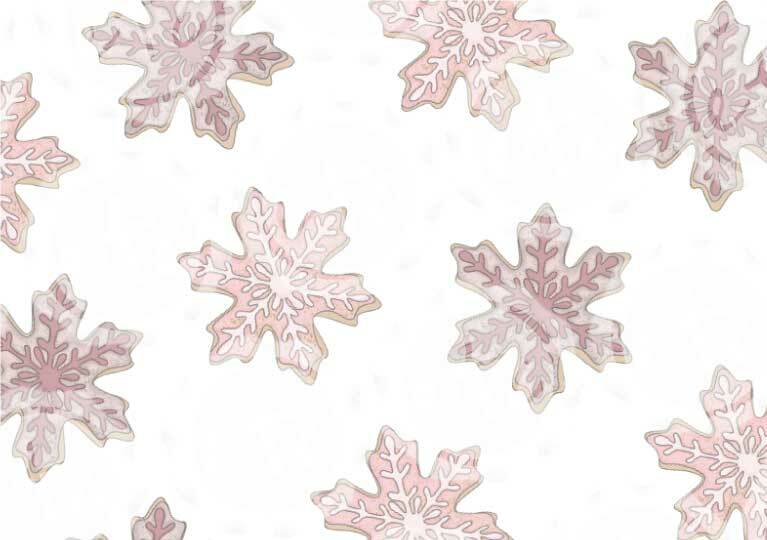 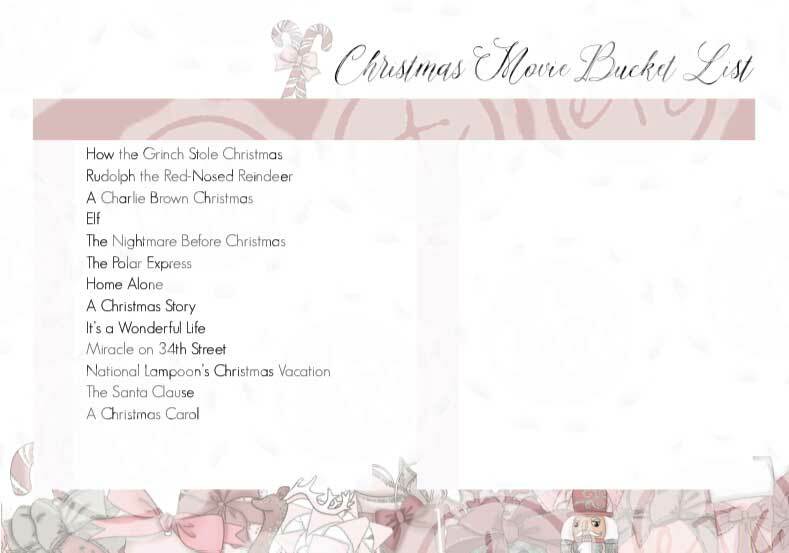 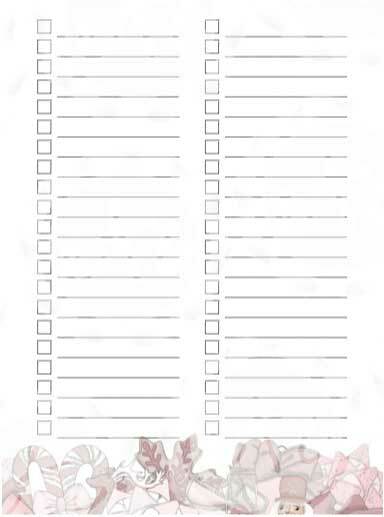 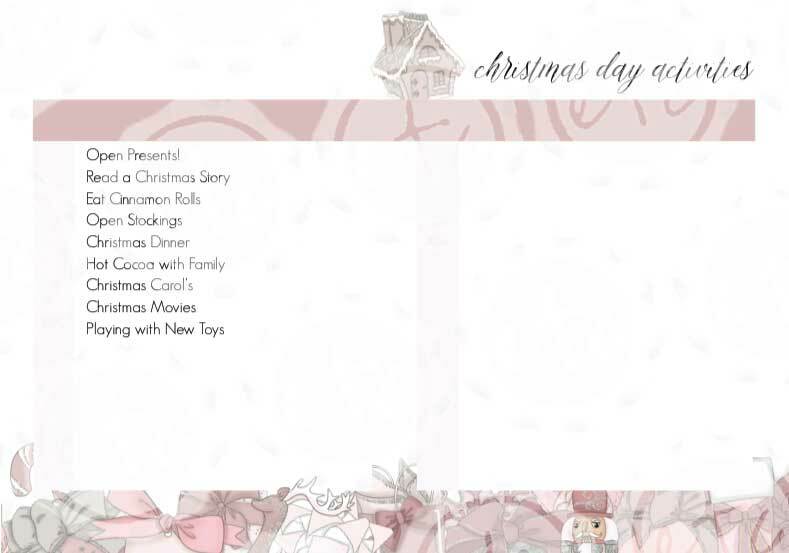 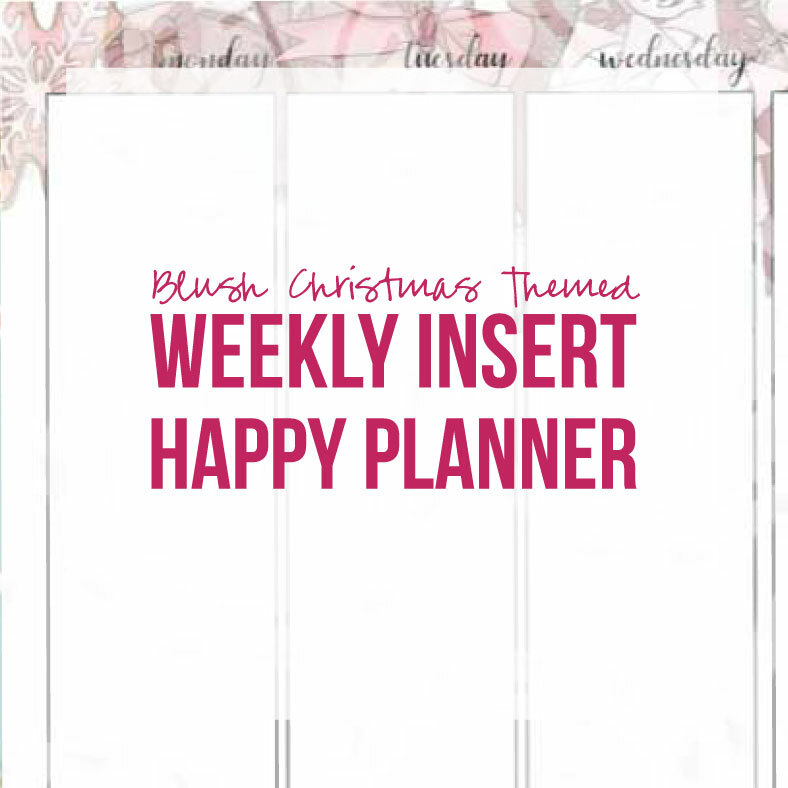 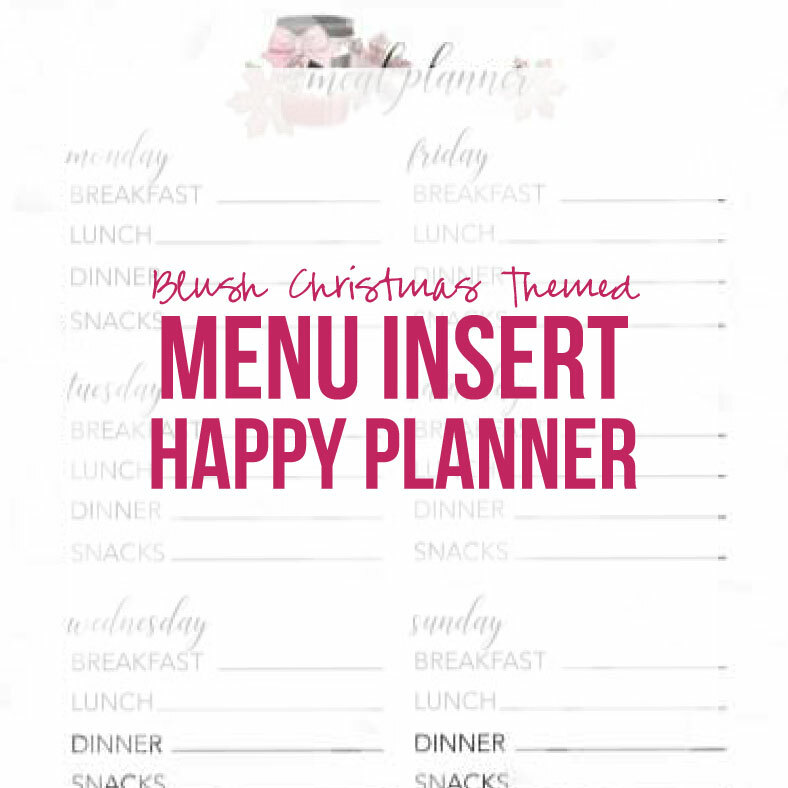 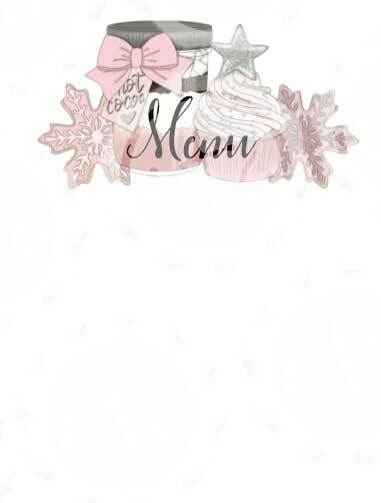 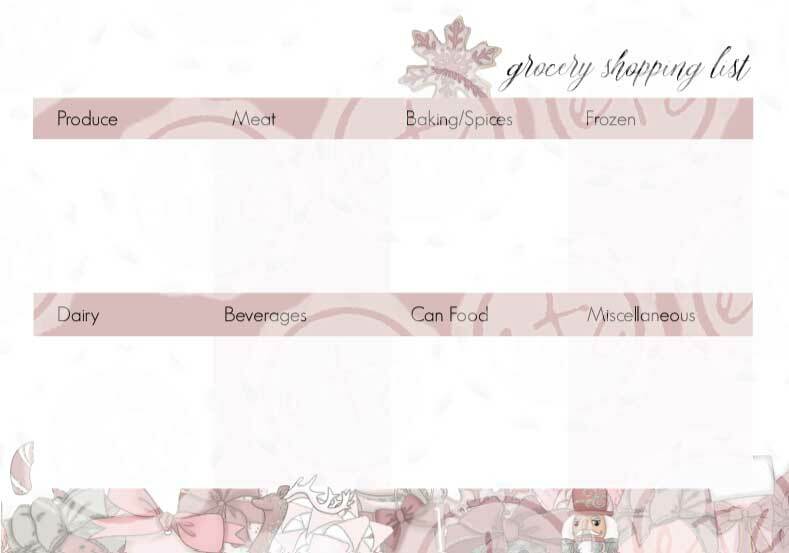 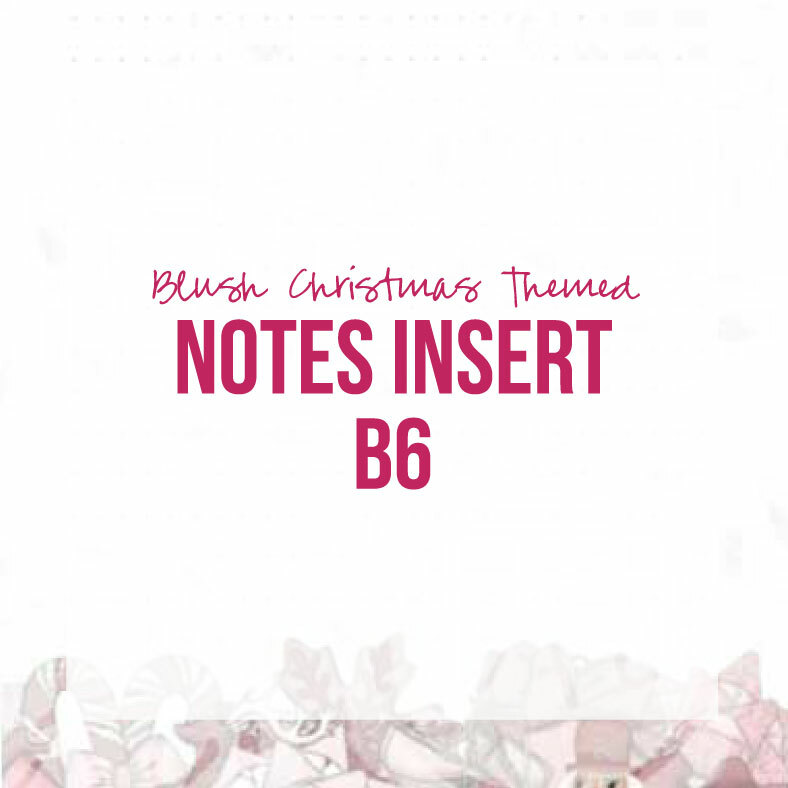 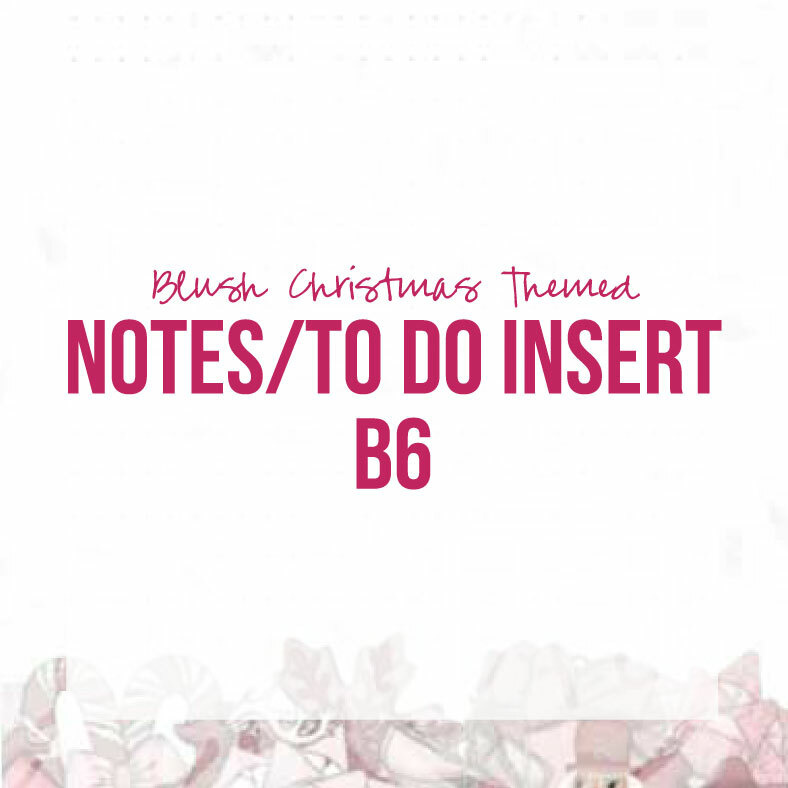 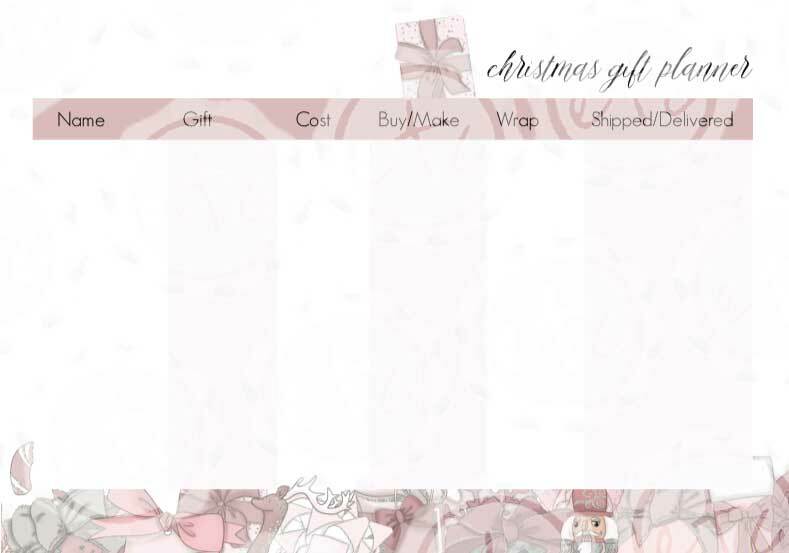 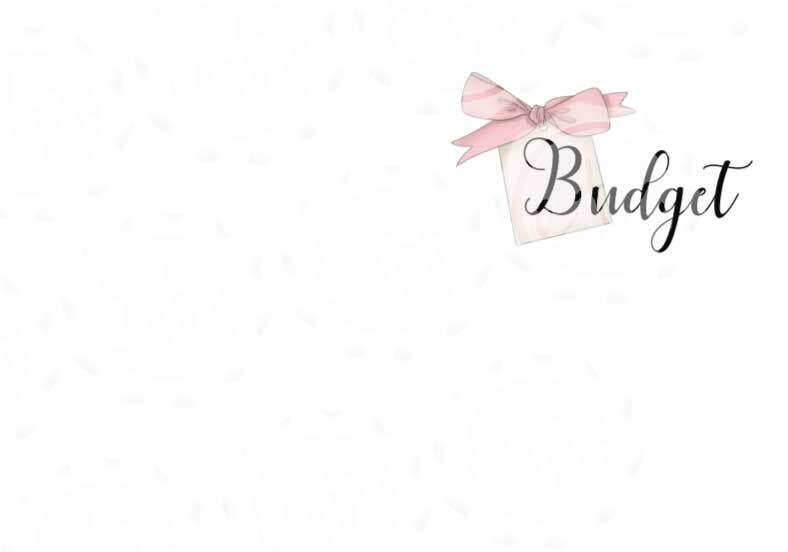 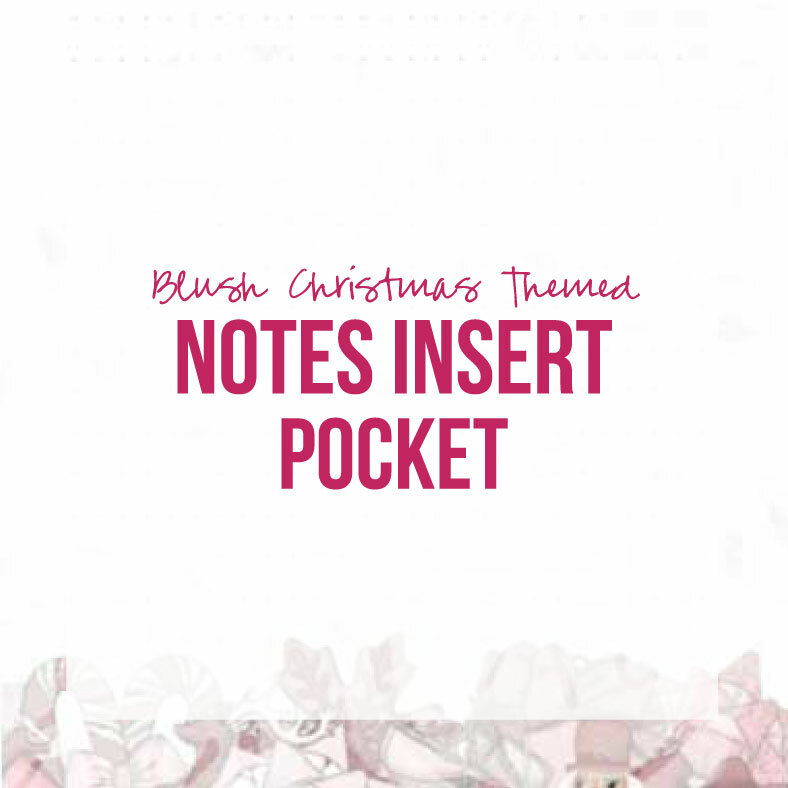 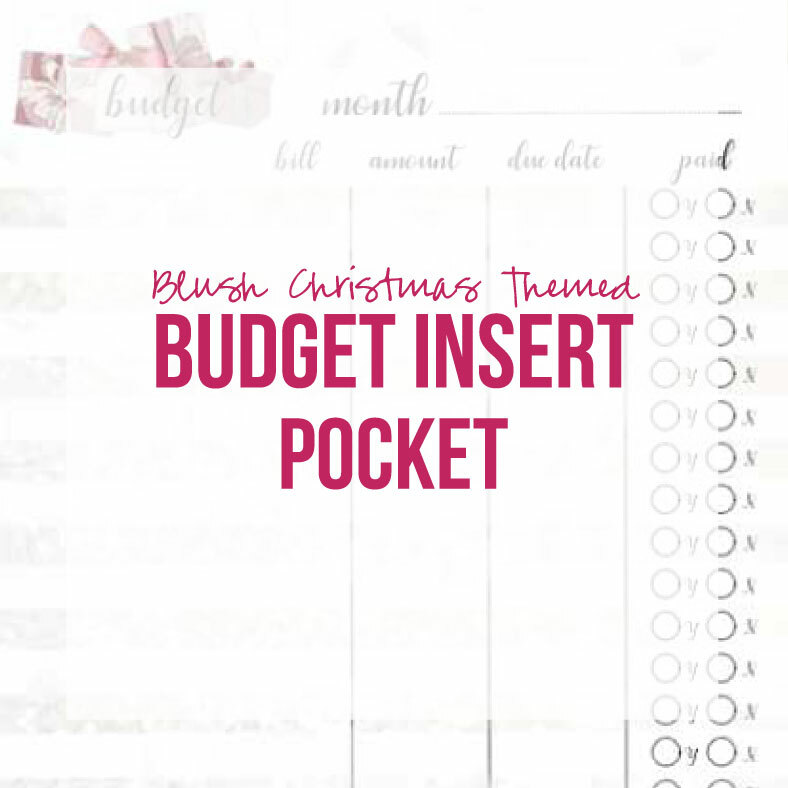 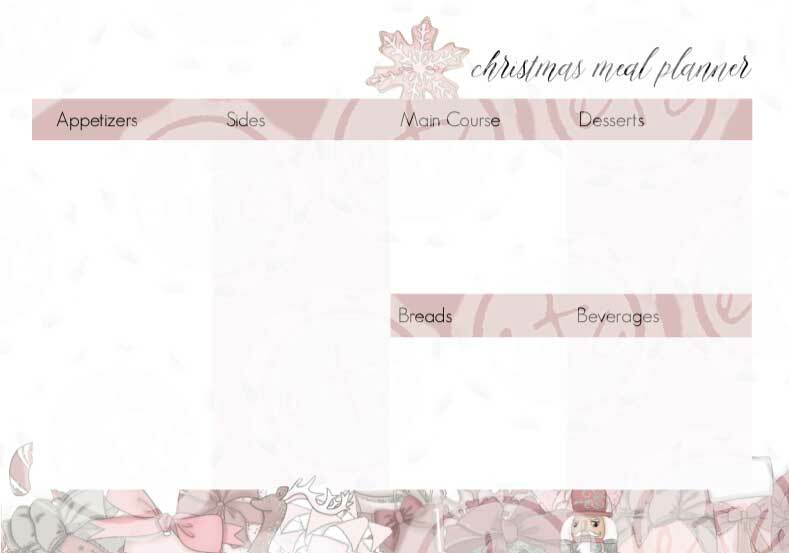 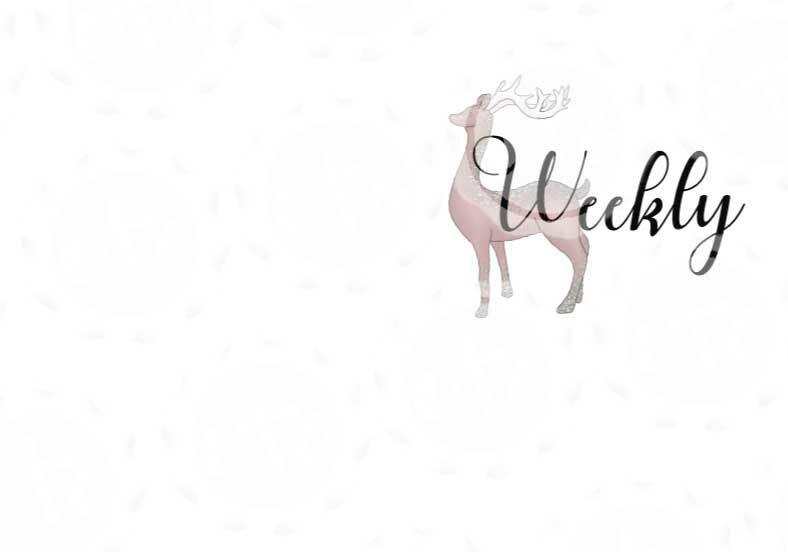 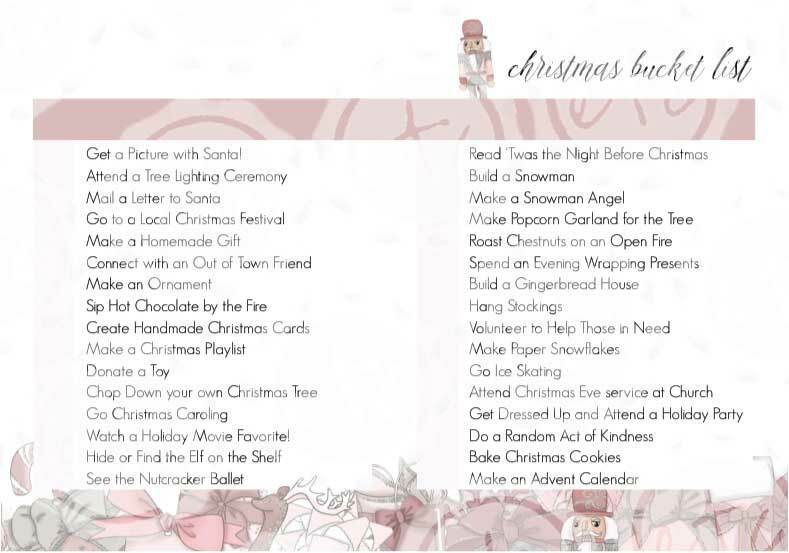 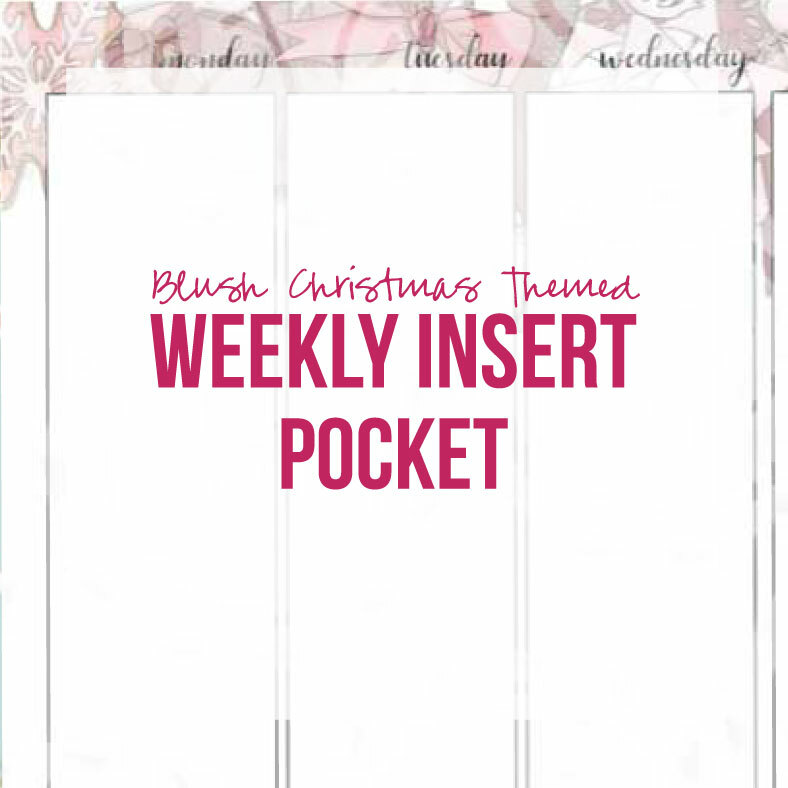 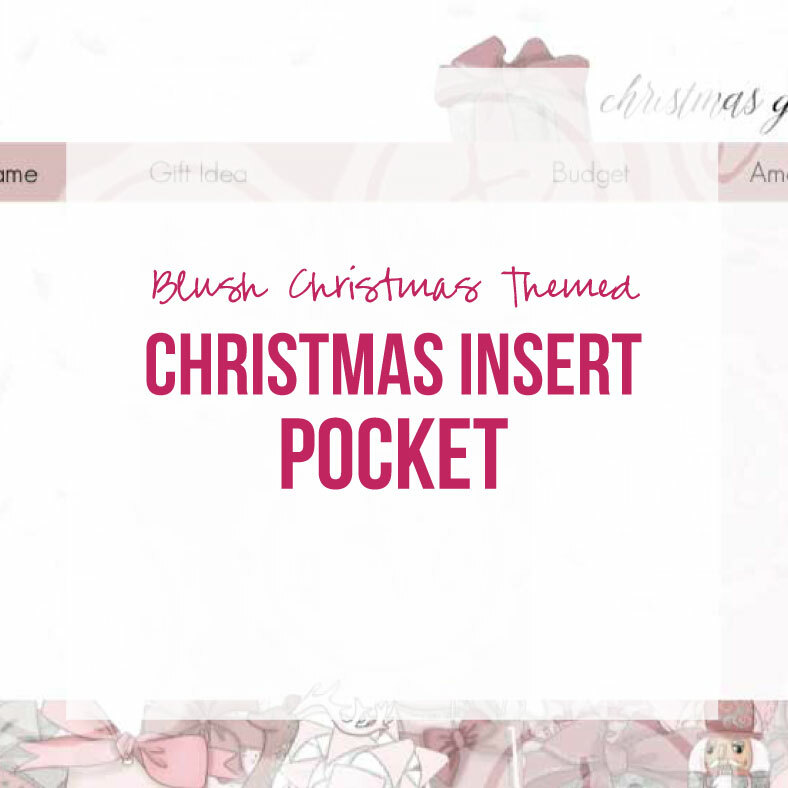 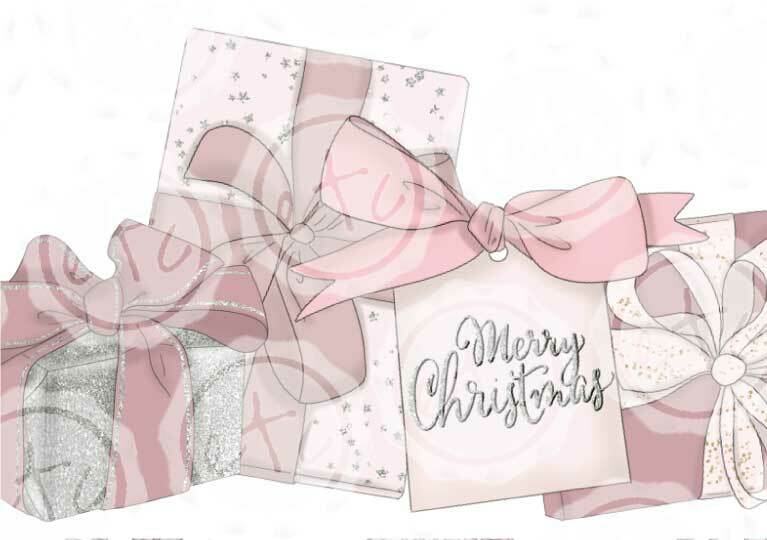 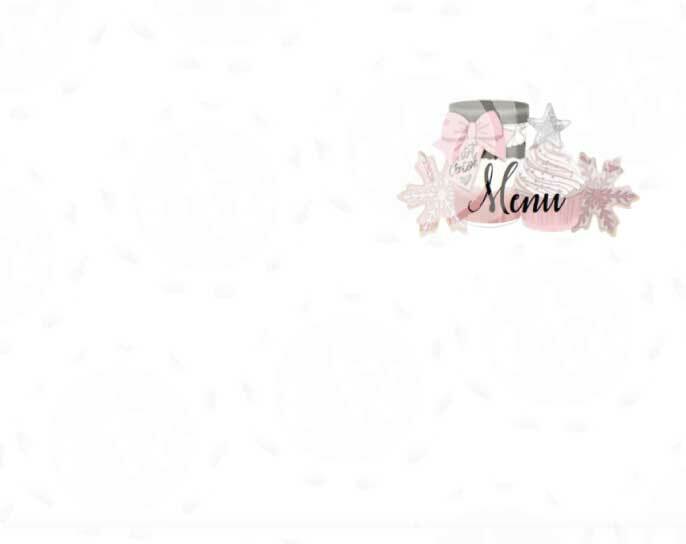 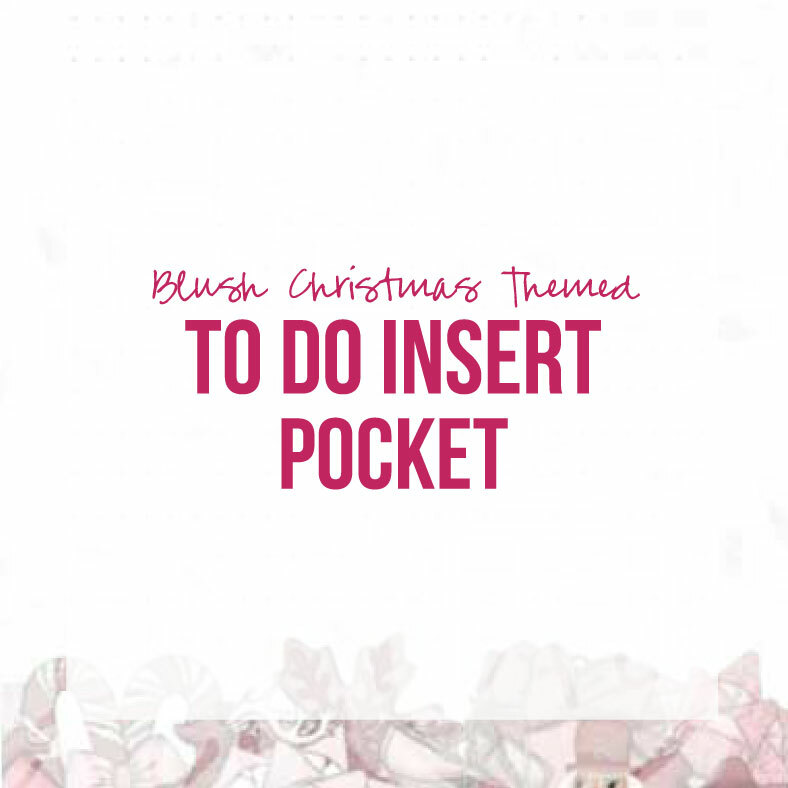 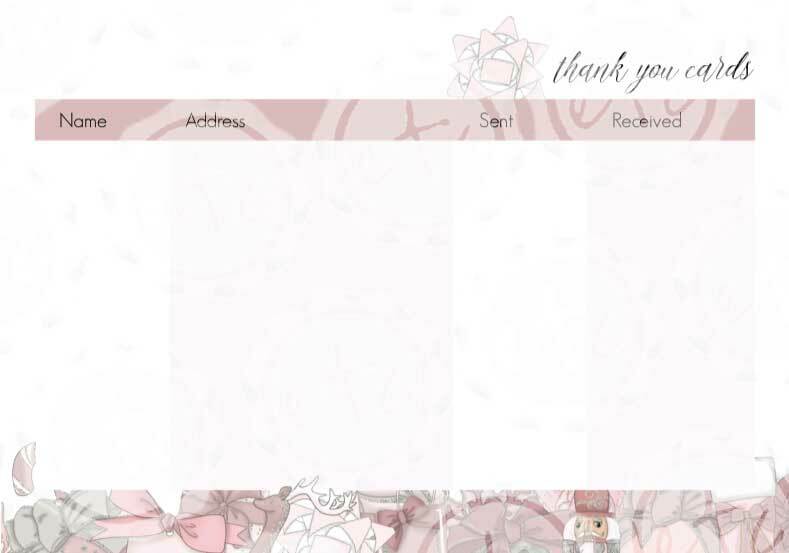 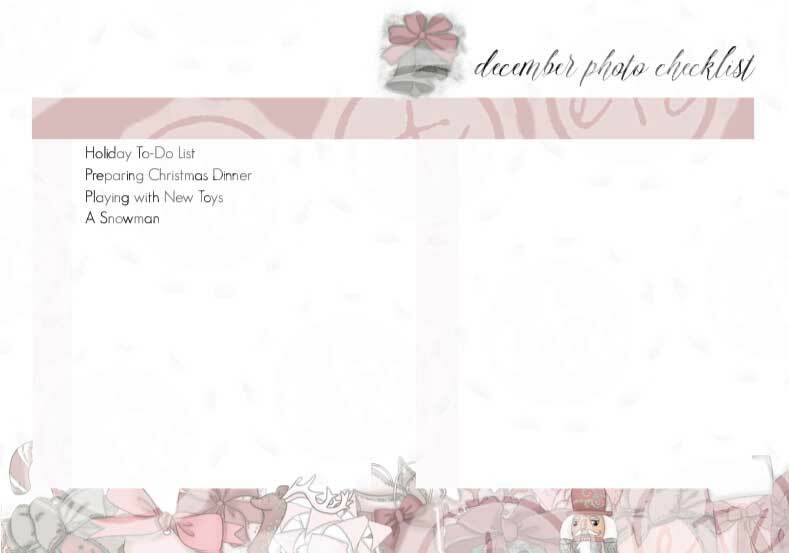 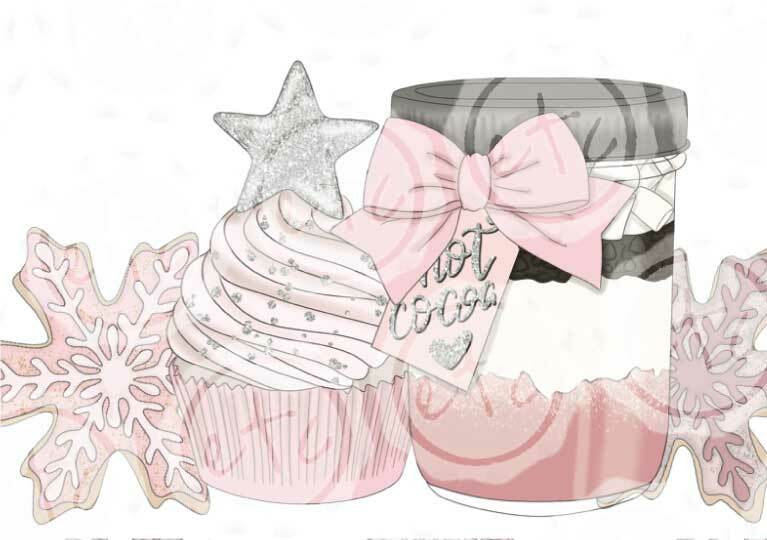 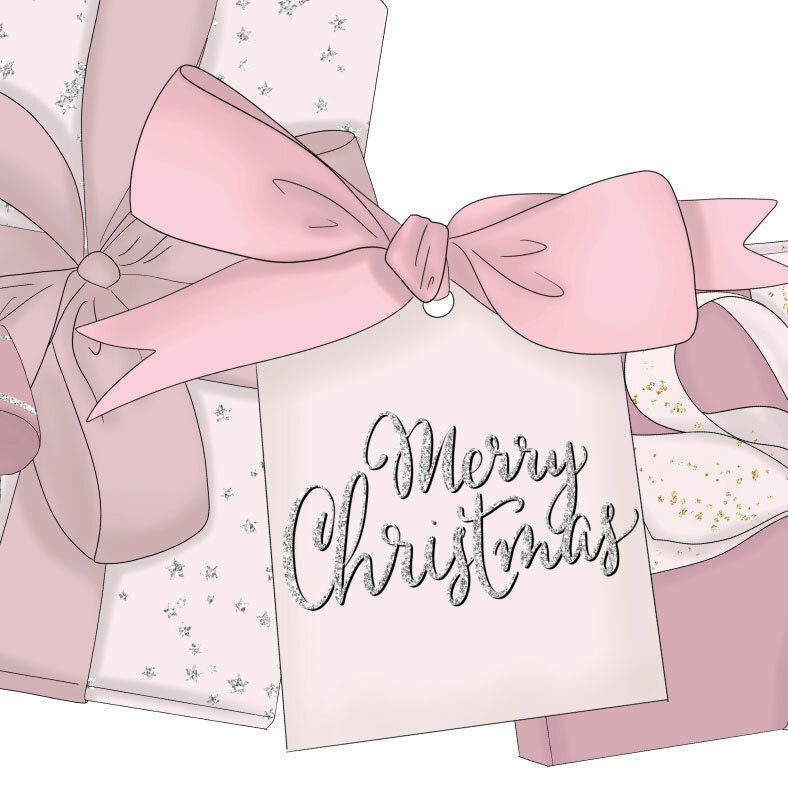 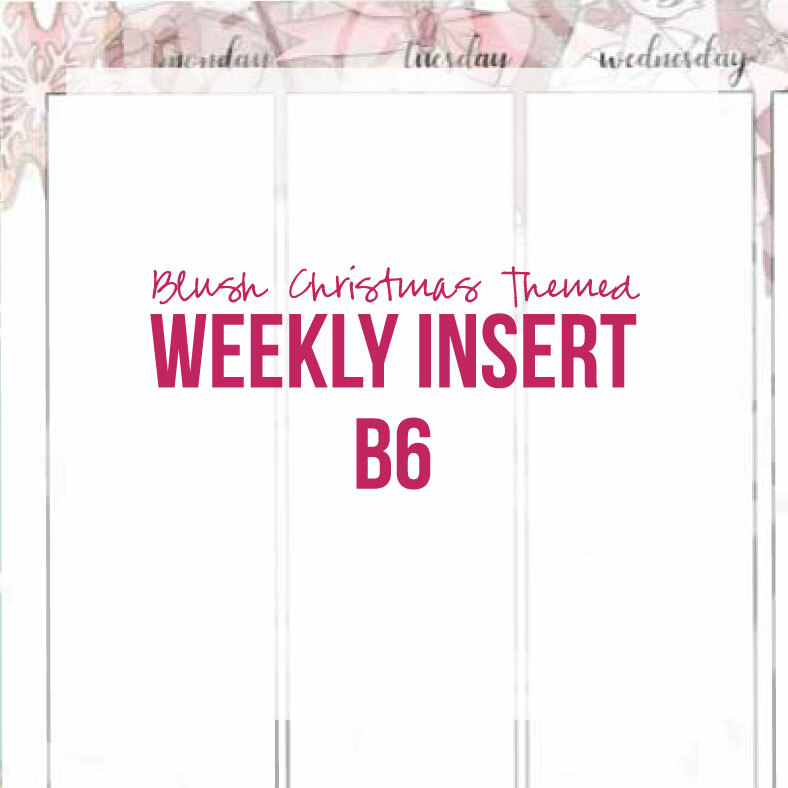 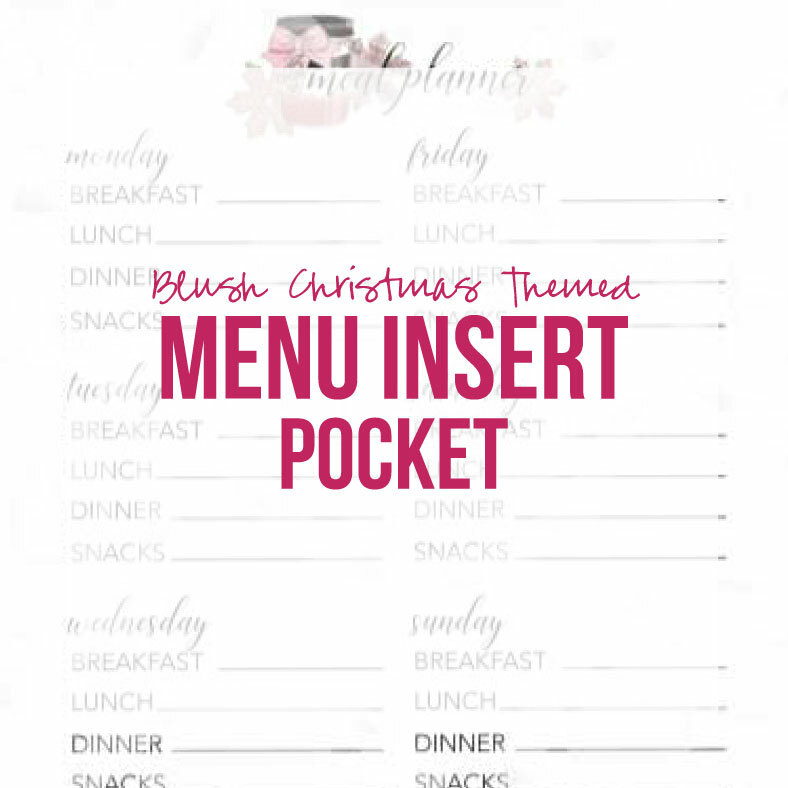 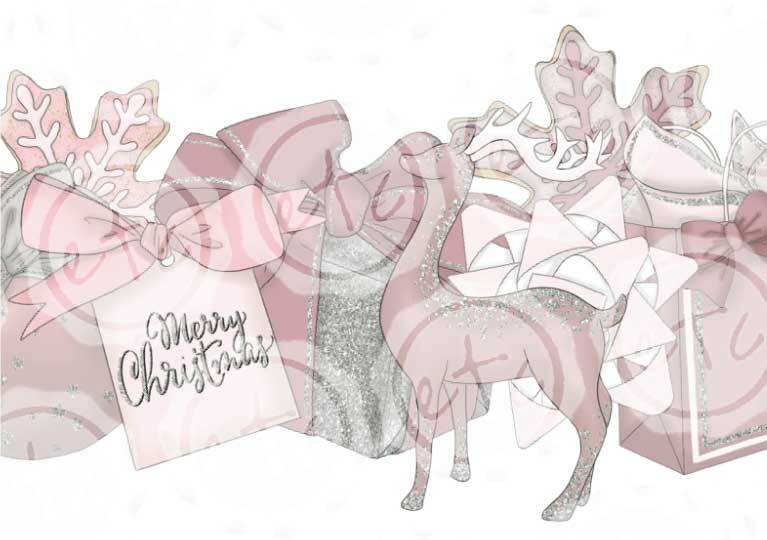 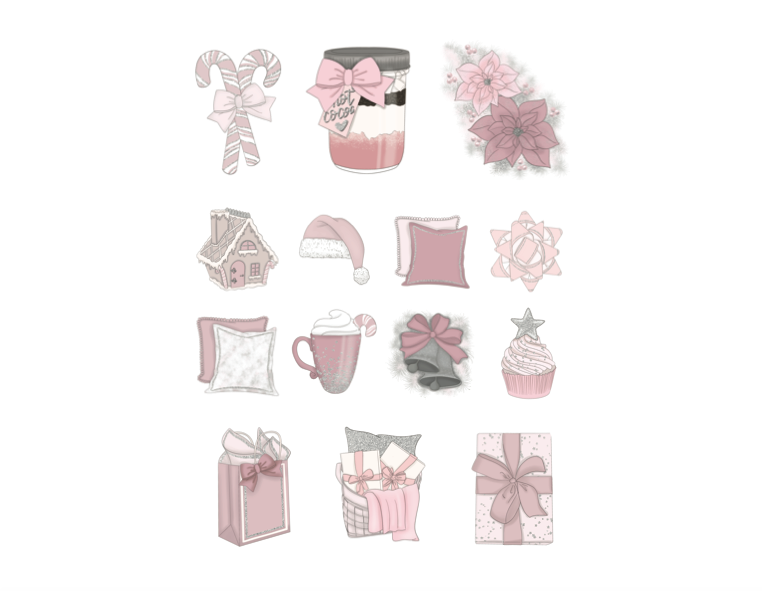 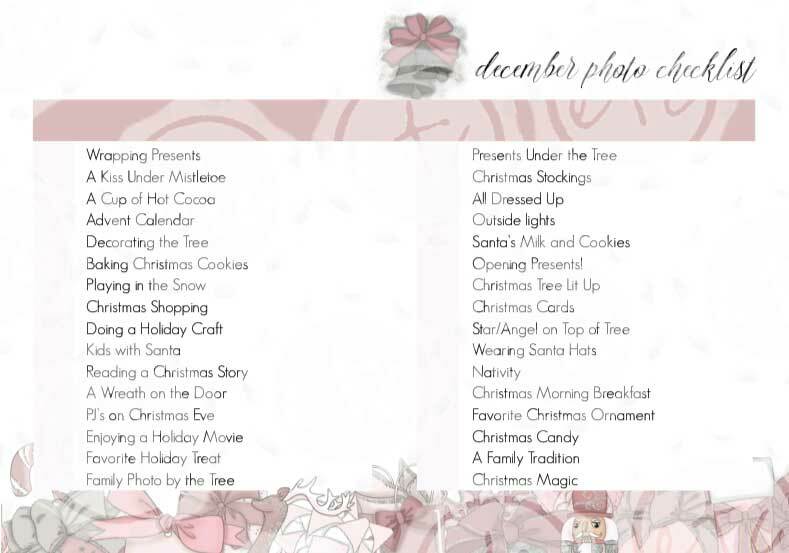 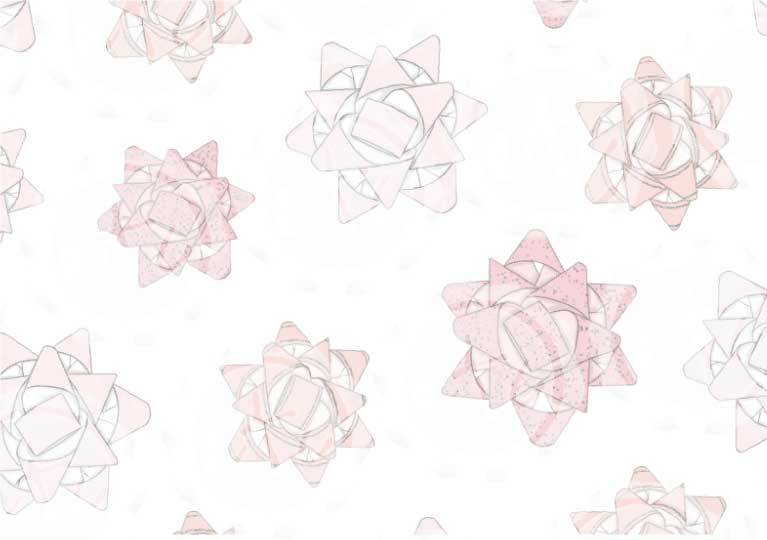 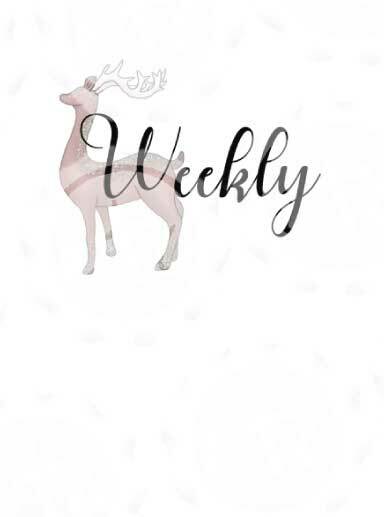 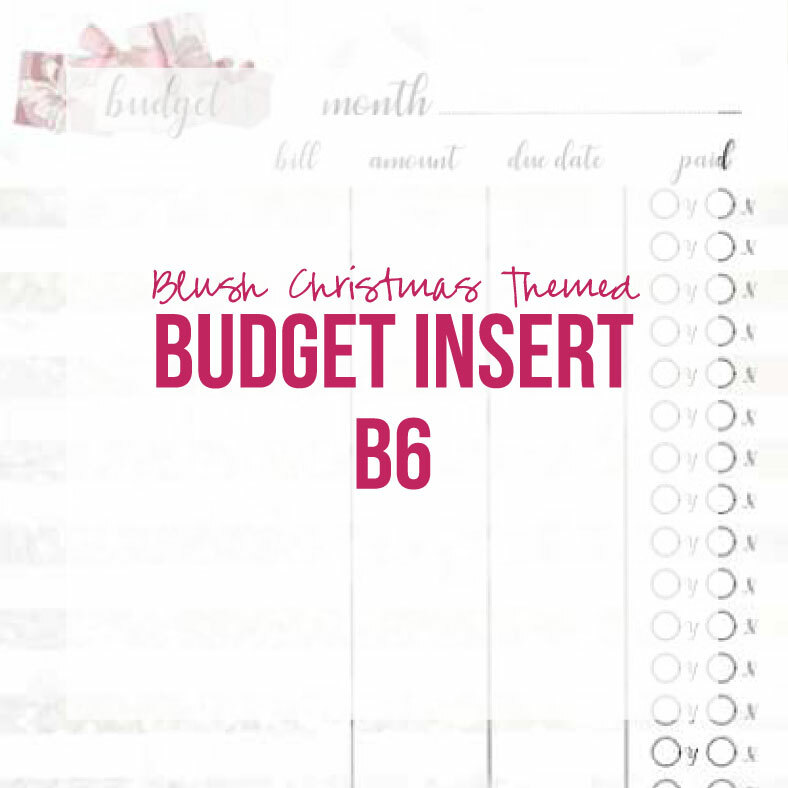 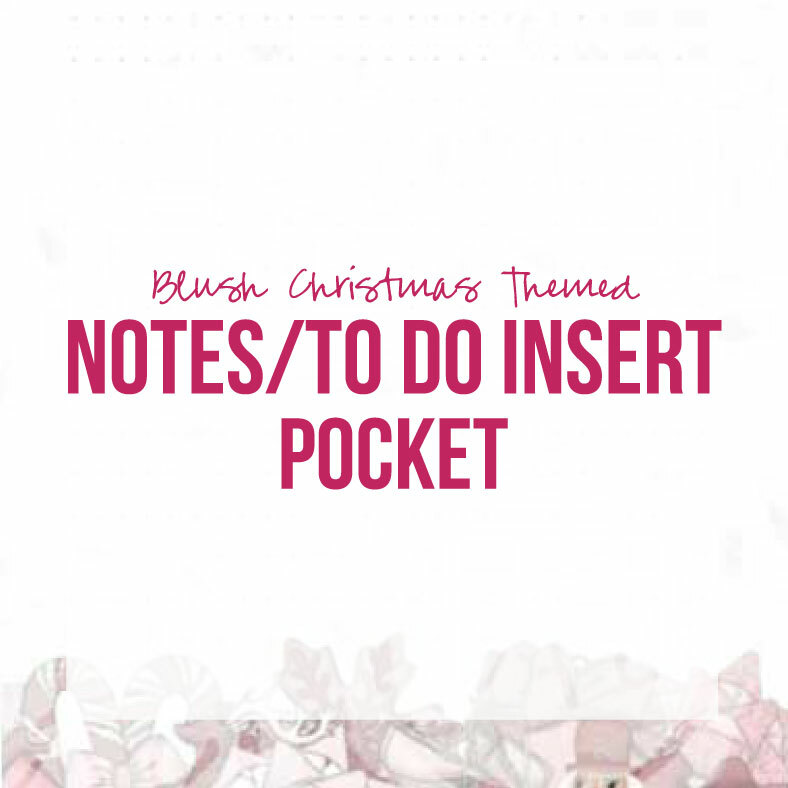 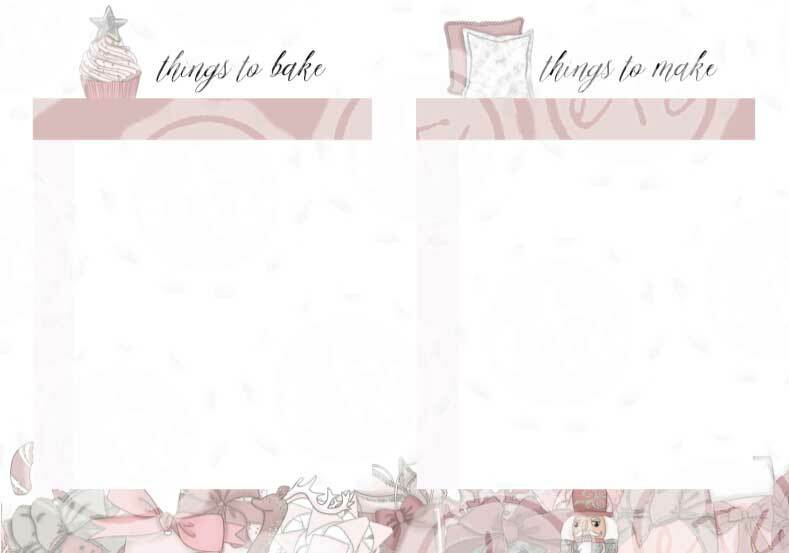 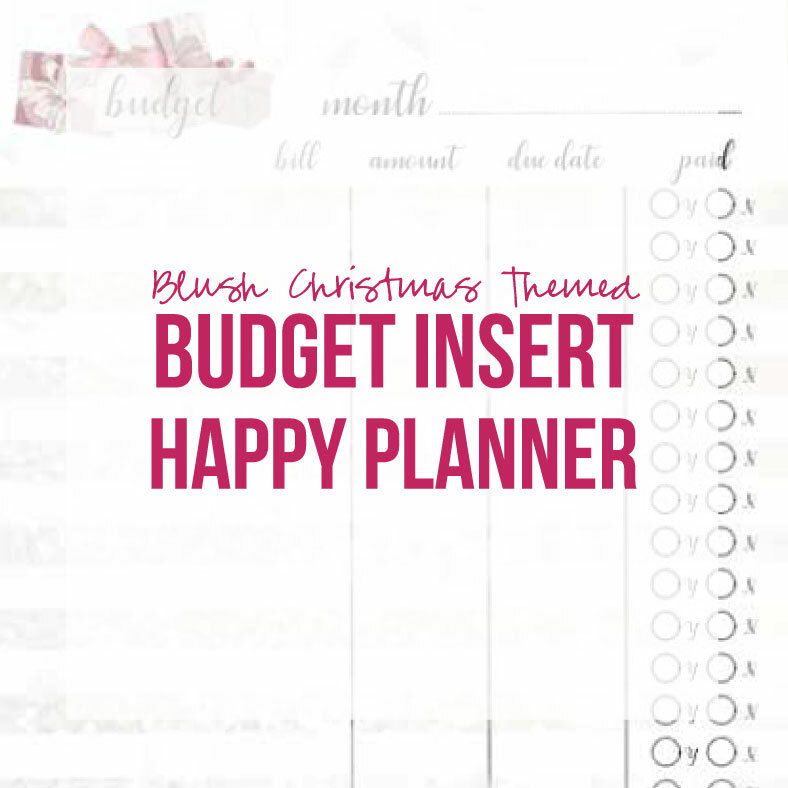 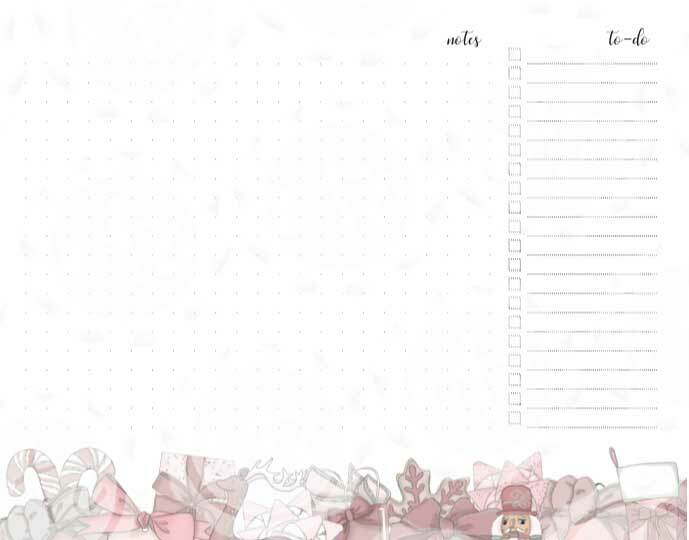 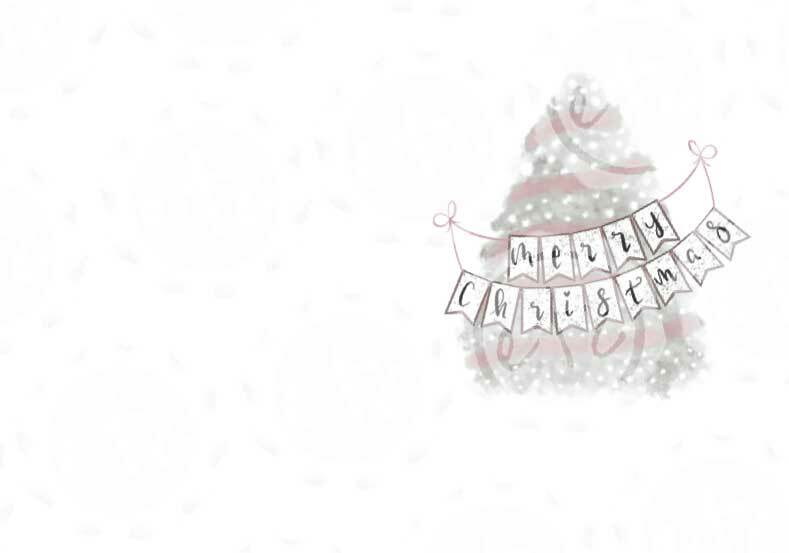 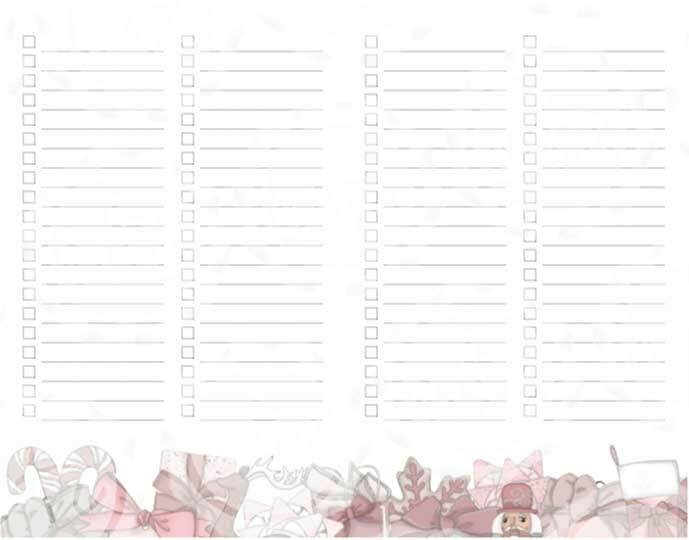 Blush Christmas Themed DIGITAL SET for your Planner - Happily Ever After, Etc. 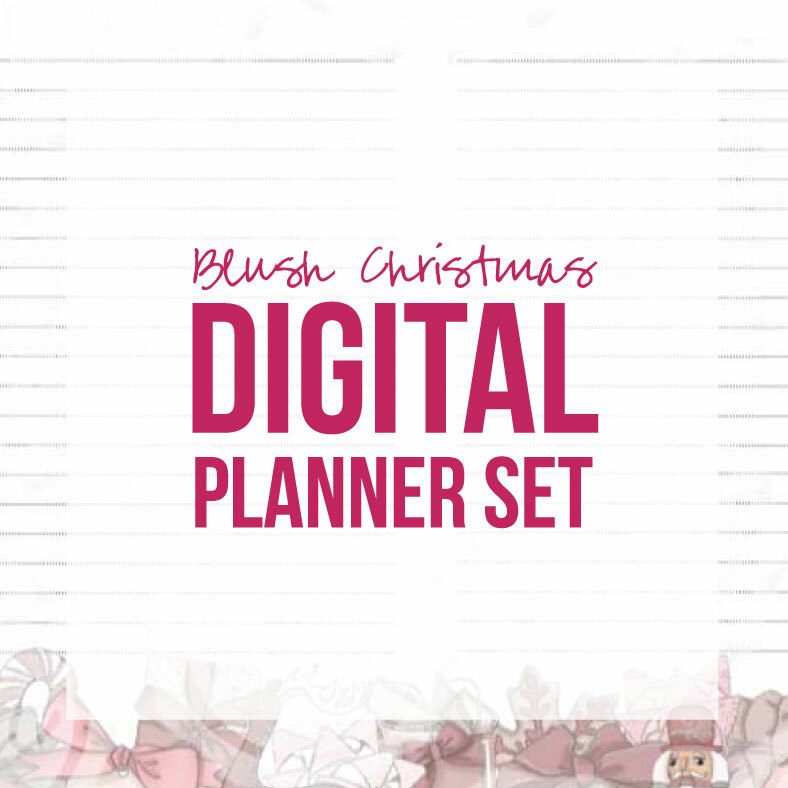 Alright y’all here is the complete digital pack you need to put your very own planner together. 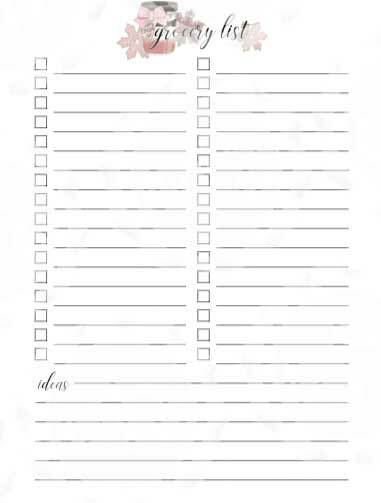 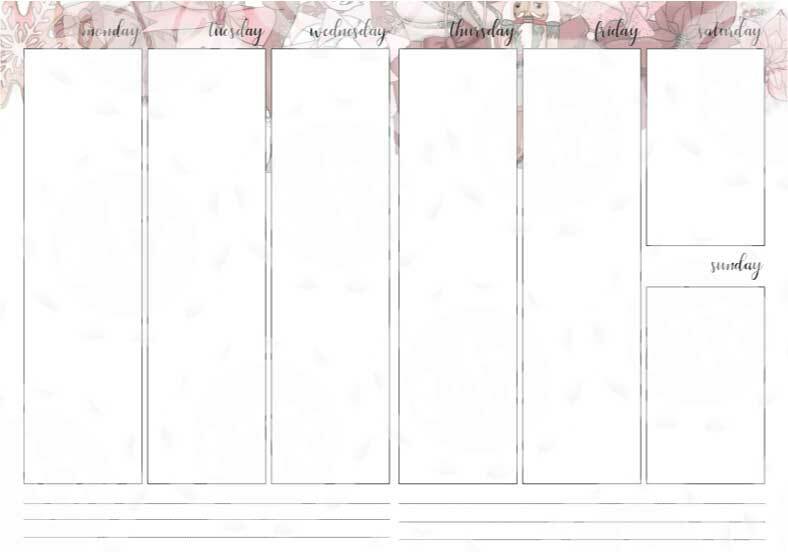 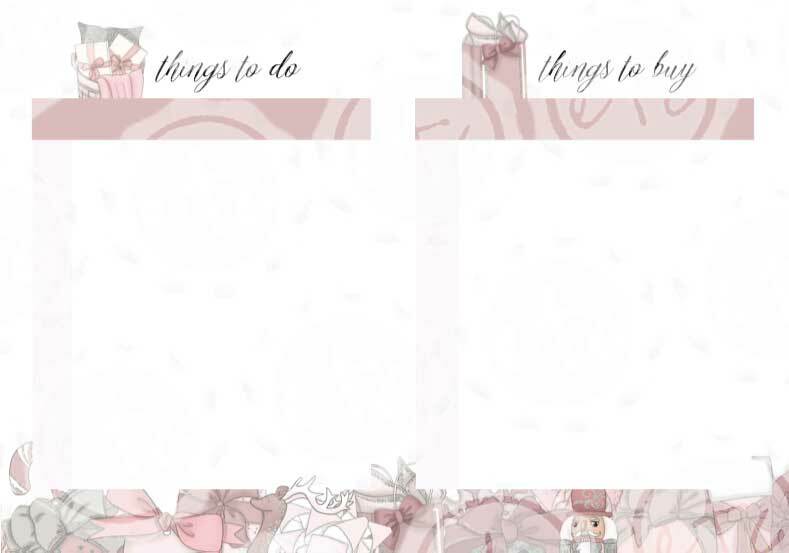 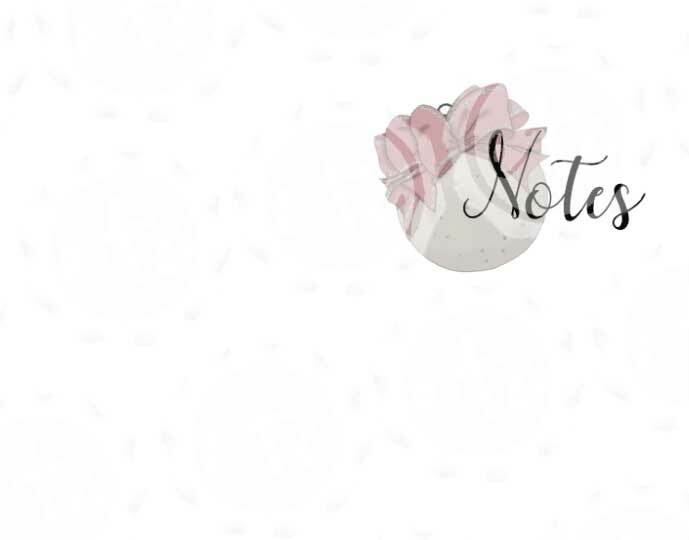 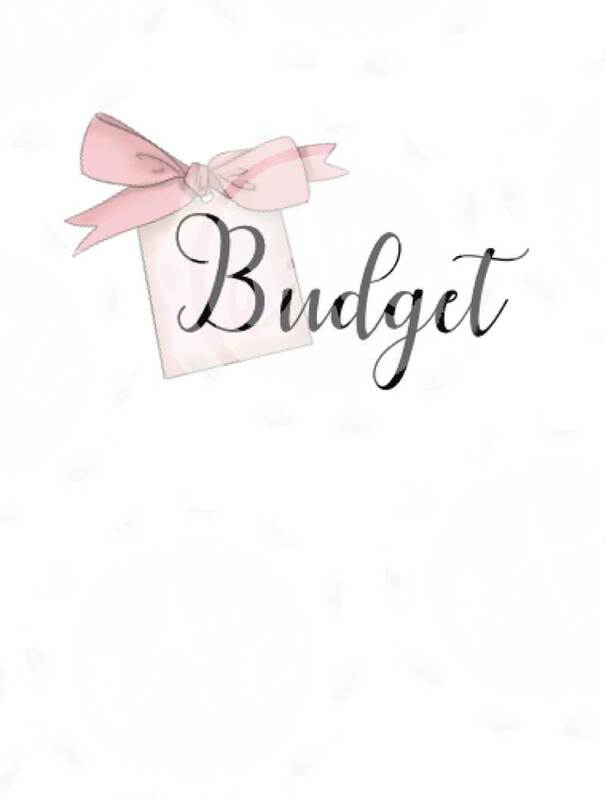 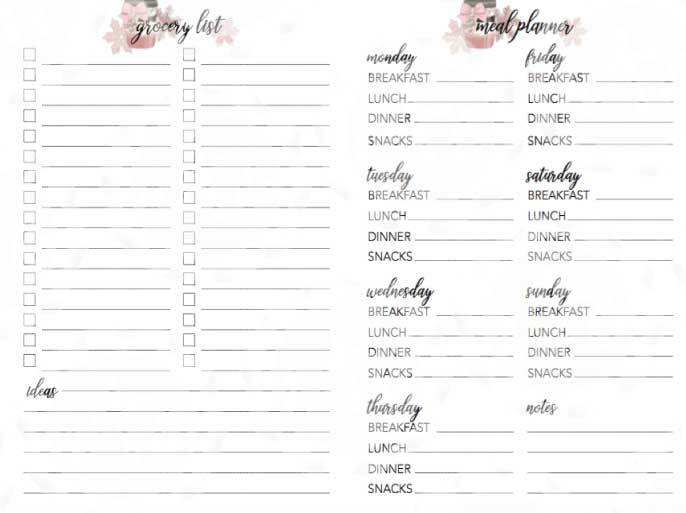 If you are looking for a fun planner setup that is ready to go and jam packed with cuteness this is the set for you. 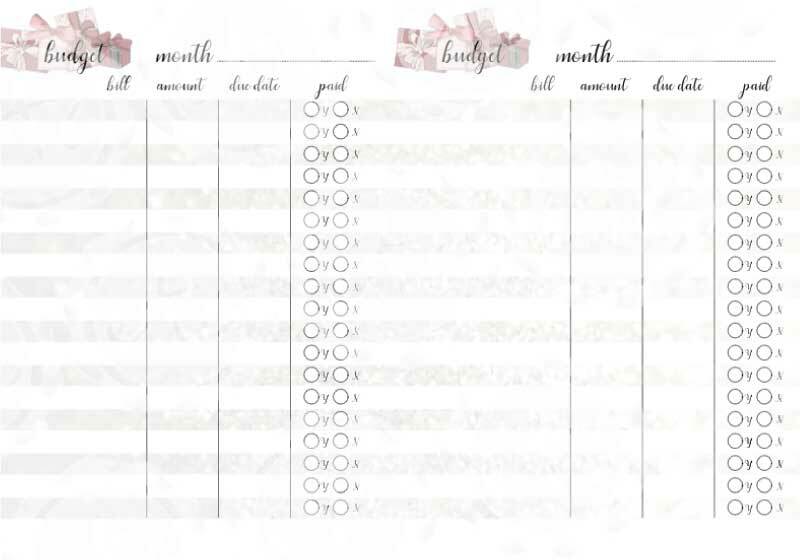 Grab your printer and a stack of paper and soon you’ll be ready to go! 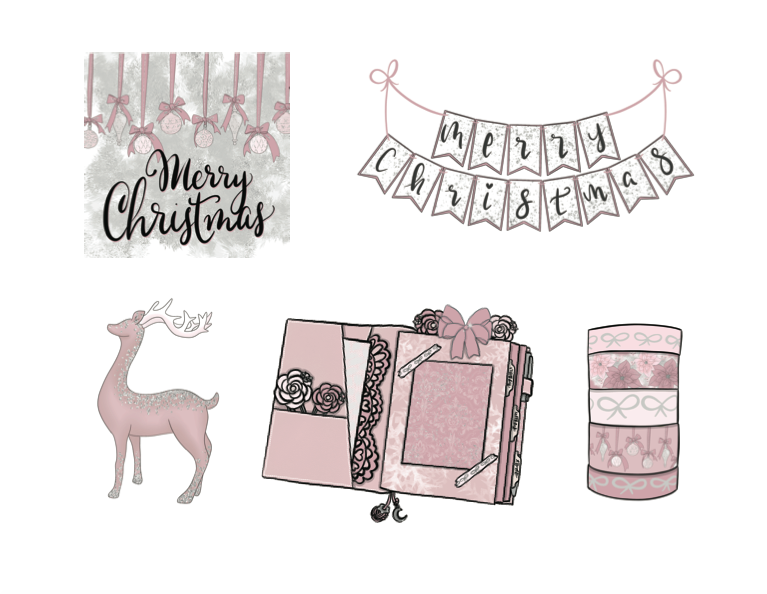 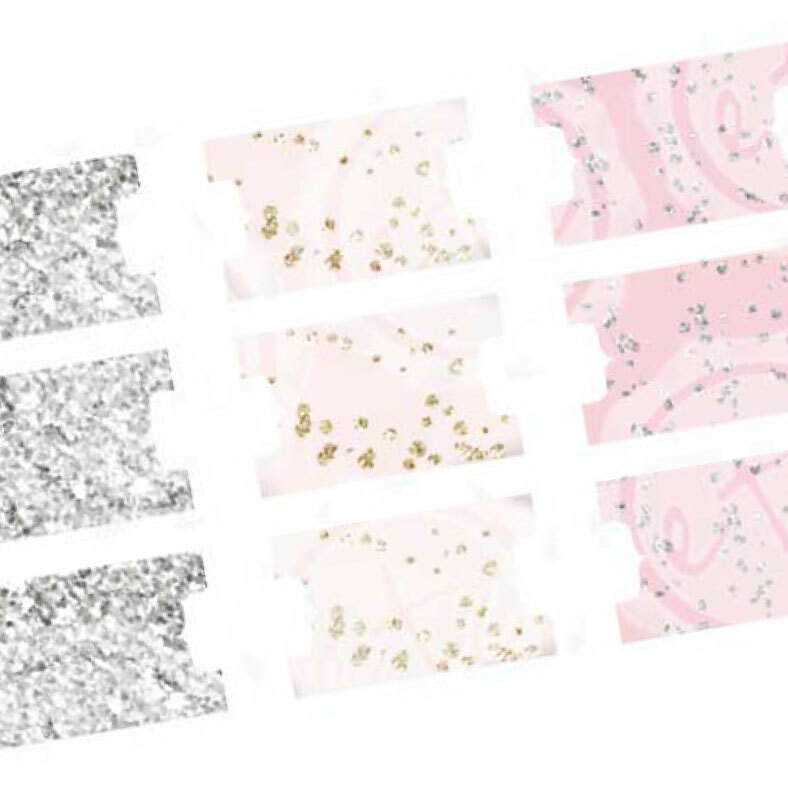 This sweet little blush Christmas collection has all of the extras you need to decorate for the holiday (like die cuts and files to cut your own tabs!) 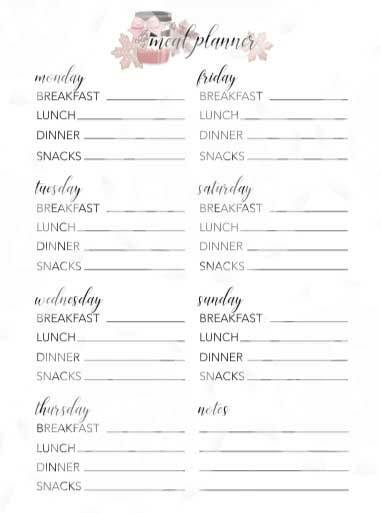 so you’re all set. 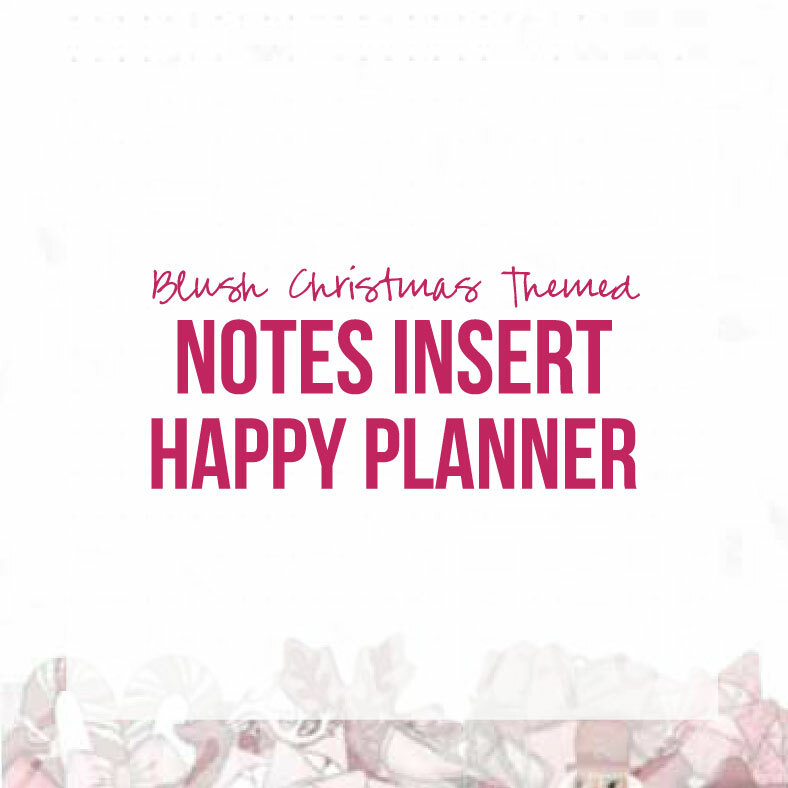 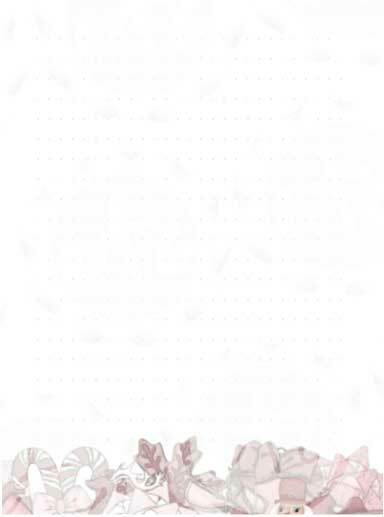 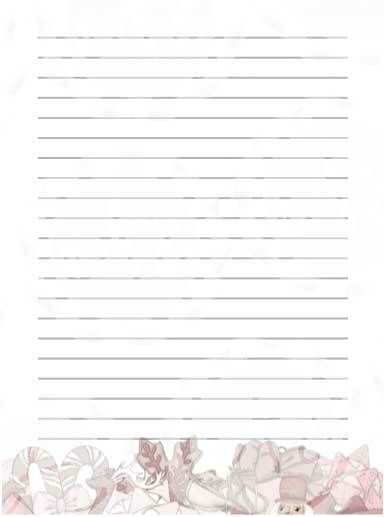 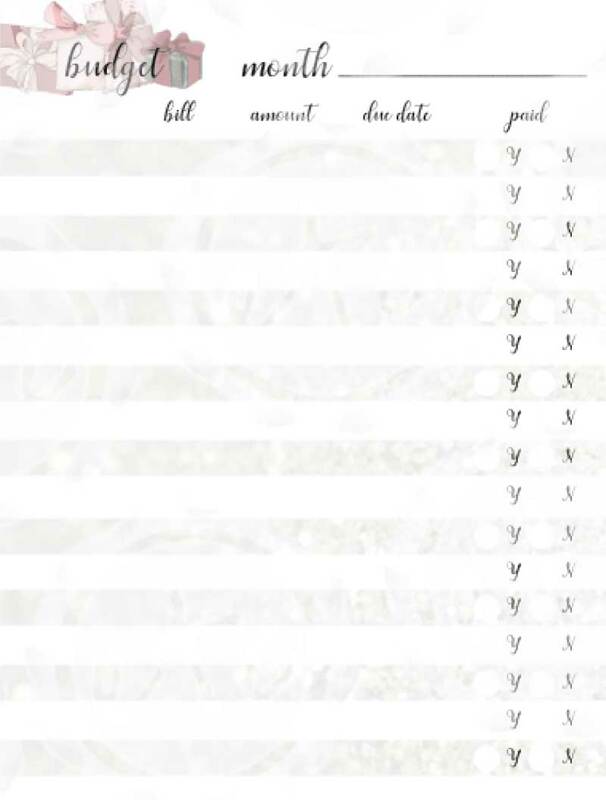 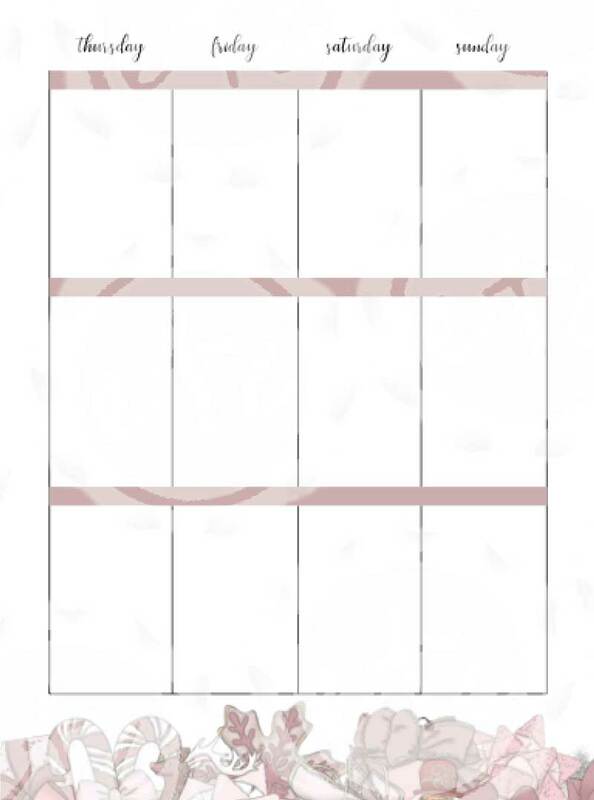 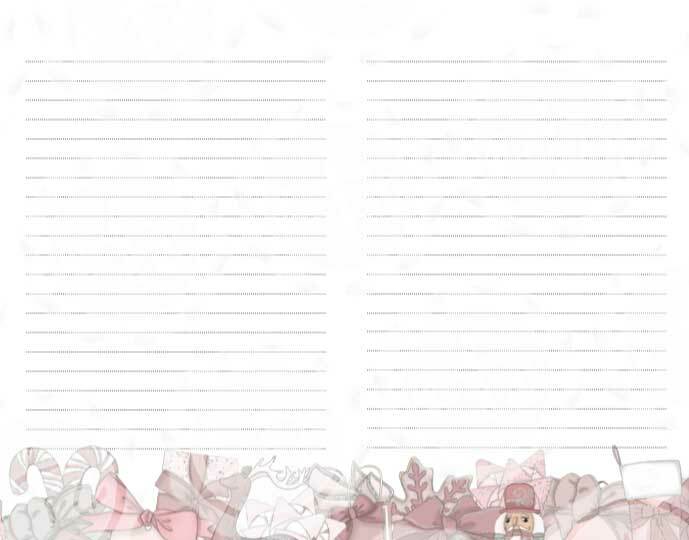 You will receive files for a Happy Planner or Travelers Notebook! 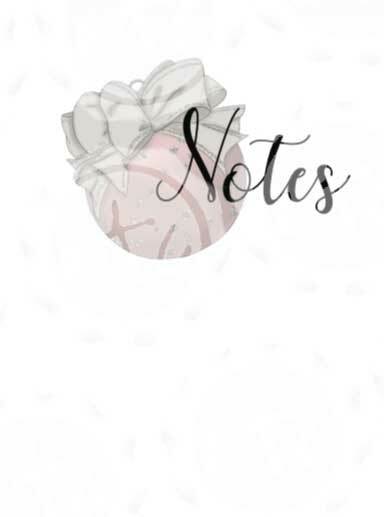 If you’ve never used a travelers notebook they are easily customizable. 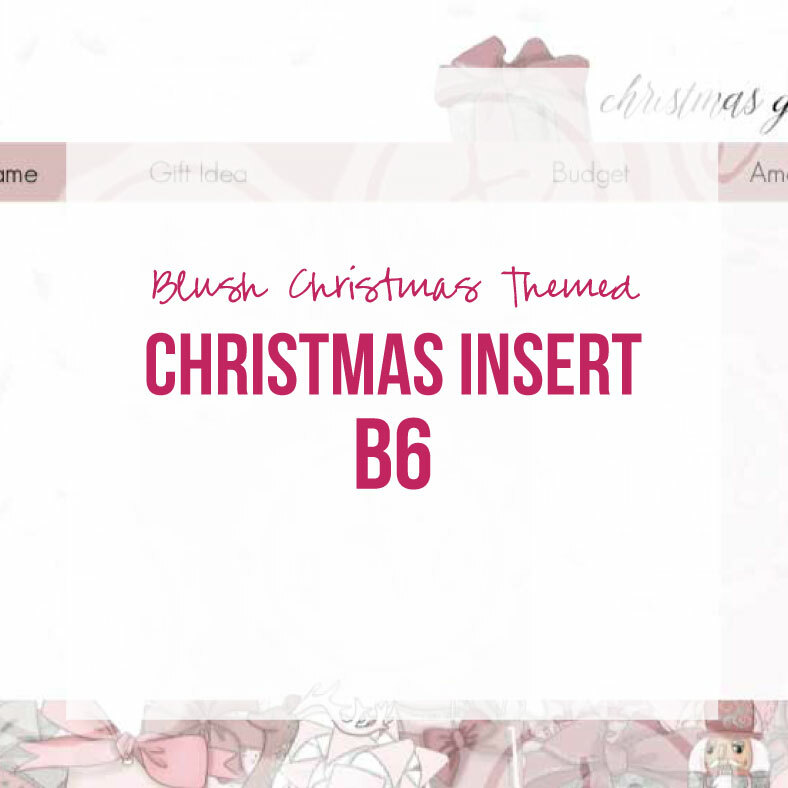 You can trade out the inserts, dashboards, vellums… everything is removable and easy to change. 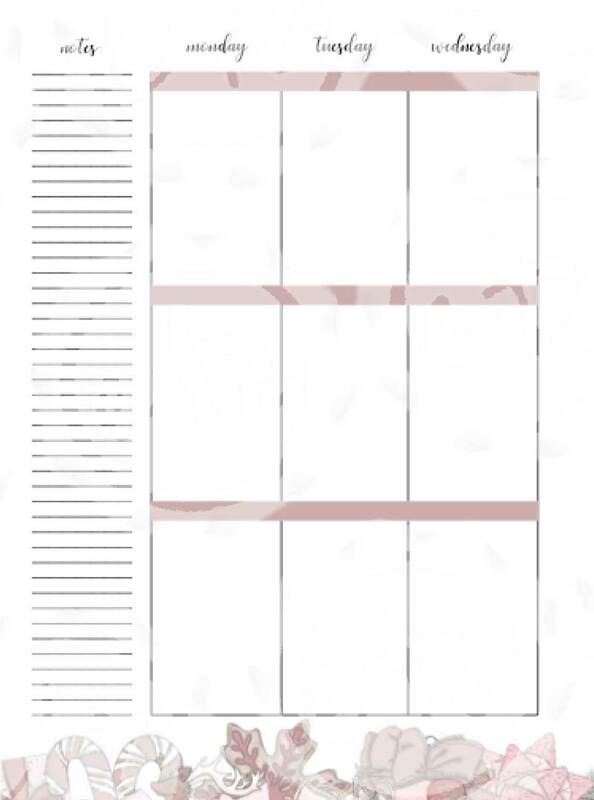 • This is not a physical product, you use it to print and cut your own files.